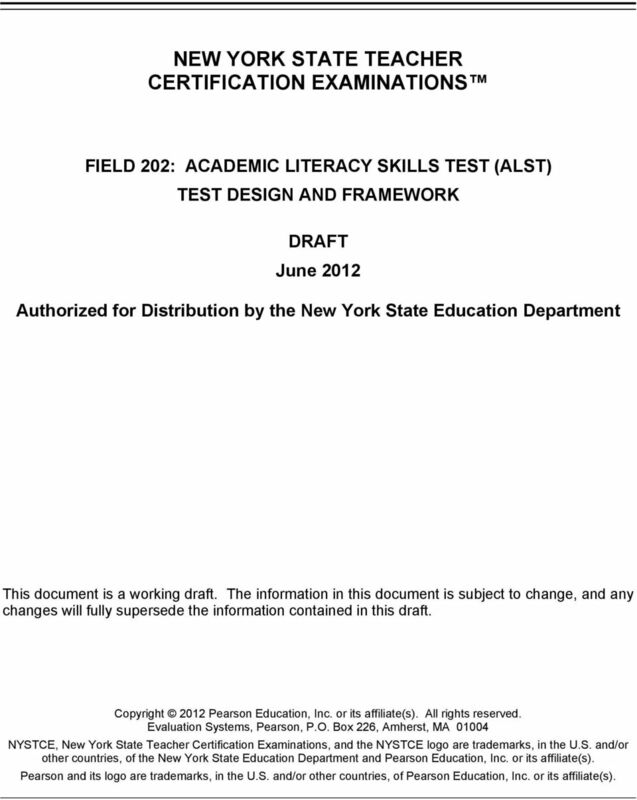 Download "NEW YORK STATE TEACHER CERTIFICATION EXAMINATIONS"
1 NEW YORK STATE TEACHER CERTIFICATION EXAMINATIONS TEST DESIGN AND FRAMEWORK DRAFT June 2012 This document is a working draft. The information in this document is subject to change, and any changes will fully supersede the information contained in this draft. 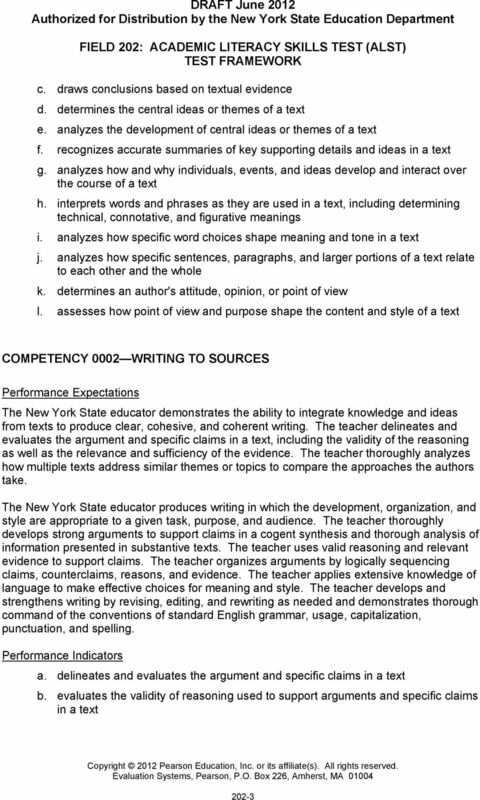 NYSTCE, New York State Teacher Certification Examinations, and the NYSTCE logo are trademarks, in the U.S. and/or other countries, of the New York State Education Department and Pearson Education, Inc. or its affiliate(s). Pearson and its logo are trademarks, in the U.S. and/or other countries, of Pearson Education, Inc. or its affiliate(s). 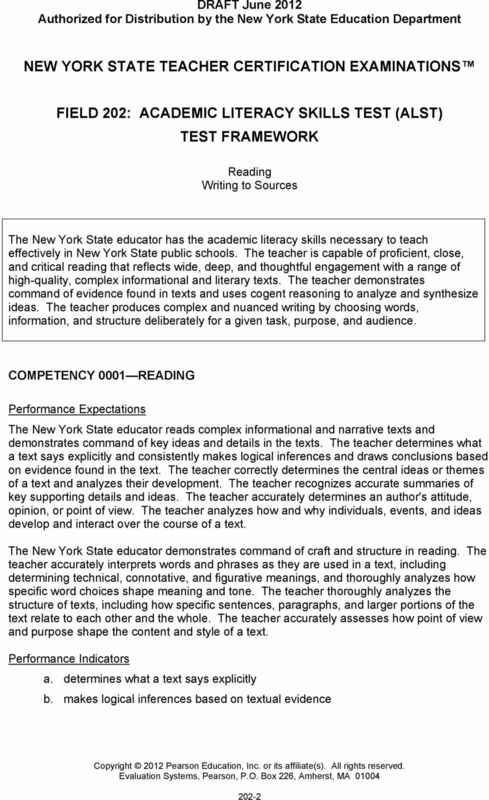 1.2 Reading Informational Text Students read, understand, and respond to informational text with emphasis on comprehension, making connections among ideas and between texts with focus on textual evidence. Limited Grade 8 English Language Arts Performance Level Descriptors A student performing at the Limited Level demonstrates a minimal command of Ohio s Learning Standards for Grade 8 English Language Arts. Correlation to the Common Core State, Literacy in History/Social Studies, Grades 6-8 United States History Civil War to the Present 2012 Houghton Mifflin Harcourt Publishing Company. All rights reserved. My Insurance Teacher s Guide Introduction to the Unit... 2 What are the activities? What is the assessment? What are the activity descriptions? How does this unit align with the Common Core State Standards? Grades 9-10 Learning Targets and I Can Statements. Quarter 1. Provide an objective summary of the text. 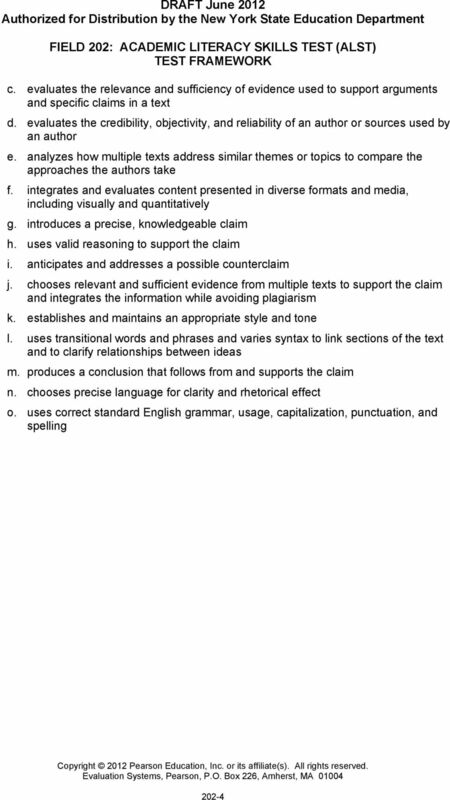 Literacy Standards Articulated Across AQF Qualification Levels Writing Standard 1. Writes routinely, over extended time frames, in order to fulfil the requirements of a range of written tasks and assessments. Limited Grade 6 English Language Arts Performance Level Descriptors A student performing at the Limited Level demonstrates a minimal command of Ohio s Learning Standards for Grade 6 English Language Arts. 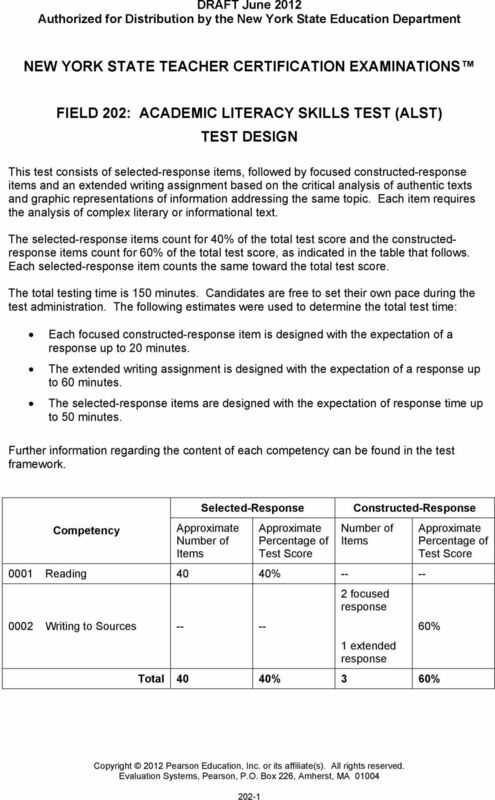 TExES English Language Arts and Reading 7 12 (231) Test at a Glance See the test preparation manual for complete information about the test along with sample questions, study tips and preparation resources. Intended Use of the document: Teachers who are using standards based reporting in their classrooms. Fifth Grade Revision 1 Revision History December, 2012 Initial Release December, 2012 Page 1 of 17 Purpose of the Portfolio HB 713 mandates a minimum course of study in career education in grades K-12.